The perfect solution for the modern bride, this collection of hand-tied bouquets and floral accents to create the wedding of your dreams. Set to bring you everything you will need to make your style statement on the big day. 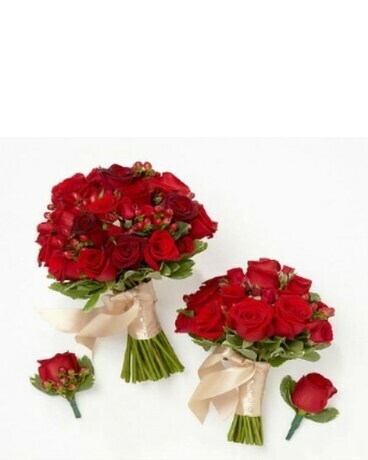 Bride, Maid of Honor, Groom & Best Man package includes 1 Hand-tied Bride's Bouquet & 1 Groom's Boutonniere, 1 Hand-tied Maid of Honor Bouquet & 1 Best Man Boutonniere.